An 8,000-square-foot meadow along Partners Way near Main Campus Drive features more than 600 pollinator-friendly plants. The home of the Wolfpack is also becoming a home for pollinators. 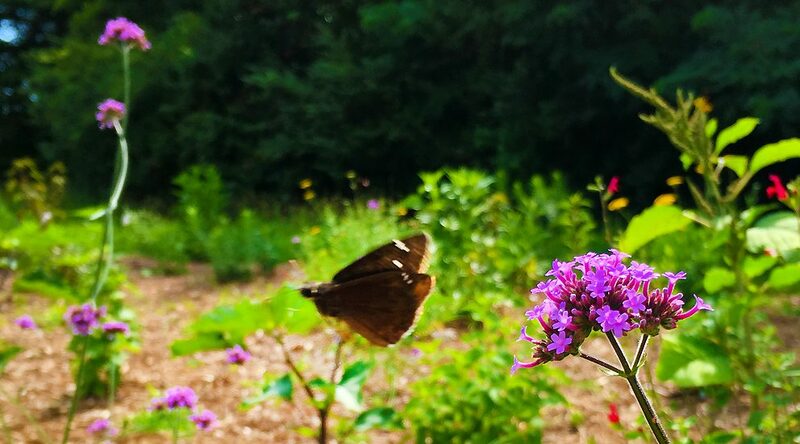 That’s the intent of numerous NC State students, staff and faculty, who are driving an effort to create food sources for pollinators through strategic plant selection on the university’s urban campus. Every third bite of food consumed by humans is linked to the work of bees, ants, birds, butterflies and other pollinators that help seed approximately 80 percent of all plants. But habitat loss, poor nutrition, parasites and pesticides have some pollinators — such as honey bees and monarch butterflies — on rapid decline. Case in point: by some estimates U.S. beekeepers lost nearly half of all managed honey bee colonies in the past year. “I thought that it would be a good idea for [NC State] to play a role in providing habitat for pollinators,” said horticulture professor Dennis Werner. While riding his bike on Centennial Campus, Werner observed several open land sites with potential to become informal meadows of pollinator-friendly plants. He contacted NC State’s Grounds Management about his idea, and in April — after nearly a year of planning and site preparation — Werner, horticulture students and Grounds Management employees installed more than 600 pollinator-friendly plants along Partners Way near Main Campus Drive. Among the meadow’s carefully-selected plants is milkweed, which is the only plant on which monarch butterflies will lay eggs. “The inclusion of milkweed was to ensure habitat for the larvae of the monarch butterfly, whose populations … are declining dramatically for a number of reasons — one of which is a decline in milkweed in agricultural settings,” Werner said. Though the meadow’s new plants have been watered and mulched to start, the space will ultimately become an 8,000-square-foot natural area where weeds and indigenous pollinator plants are allowed to grow, creating a natural habitat that requires minimal maintenance. A similar pollinator meadow on Centennial Campus is slated for installation this fall under the leadership of horticulture graduate student Melissa Tinling and with financial support from the NC State Sustainability Fund. 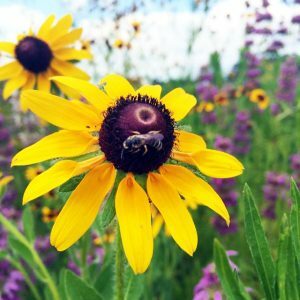 “Expanding pollinator plantings will not only increase biodiversity and improve ecosystem services, it will enhance the utility of our campus as an outdoor classroom, living laboratory and public recreational space,” said Tinling, who also plans to create an educational website about pollinator-friendly plantings. 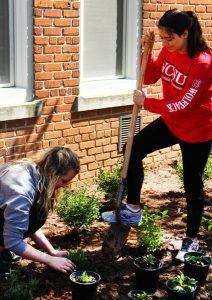 On central campus, another student-led effort resulted in a formal pollinator garden in the Honors Village, just outside of Berry and Bagwell Residence Halls. With funding from the Bayer Bee Care Center, students in a University Honors seminar class last spring researched, designed and planted the garden, according to course instructor Sue Carson, an associate professor of plant and microbial biology. Students worked with Grounds Management, who will maintain the garden, and other experts to select attractive plants that are native to North Carolina and popular among pollinators. Planning is already underway for two additional pollinator projects through which students will gain real-world design and implementation experience. Students will design and plant a formal pollinator garden at the university’s newly renovated Gregg Museum of Art and Design next academic year and at NC State’s JC Raulston Arboretum. The Arboretum project, made possible through an NC State Sustainability Fund grant awarded to faculty members Danesha Seth-Carley and Anne Spafford, consists of two 600-square-foot pollinator planting beds that showcase various aesthetic designs and planting techniques. With the help of students and Arboretum visitors, Seth-Carley and Spafford will conduct citizen science research on which planting styles are most attractive to humans and popular among pollinators. These faculty and student-led projects are accelerating NC State’s ongoing efforts to include pollinator-friendly plantings on campus, according to Grounds Management director Sarah Ketchem. Published in Faculty, Land, News, Staff, Students.